Want to create a journal page like this? Come on over to my new Art at the Speed of Life Page on facebook and join me for 4 quick FREE video lessons supported by written instruction. One lesson will post each week and lesson 3 of the 4 is now up! This is my Strathmore Visual Journal Workshop, Recycled Journal Pages from last year. 1,500+ people attended and now I’m posting it in case you didn’t get a chance to or want to go back and re-visit it. I hope you’ll join my new facebook page and feel free to share your own artwork created from my book, video or classes on there as well! Tell your friends and we’ll all share to inspire each other to make time to create art every day! « Artful Gathering Blog Hop-Join to Win!! This is so inspiring , thanks. Just stopped in to send some loveand support. You are awesome! So glad you have been sailing into the abiss. You deserve it! thank you for sharing this workshop. I also have been watching Art Journaling Fast and Easy. Loving it! My only question is, do you have the formulas for your acrylic paint and mediums mixtures available. I am thrilled that I can use just acrylics to accomplish so much with out having to invest in the number of products I see some artists use. again, thank you. 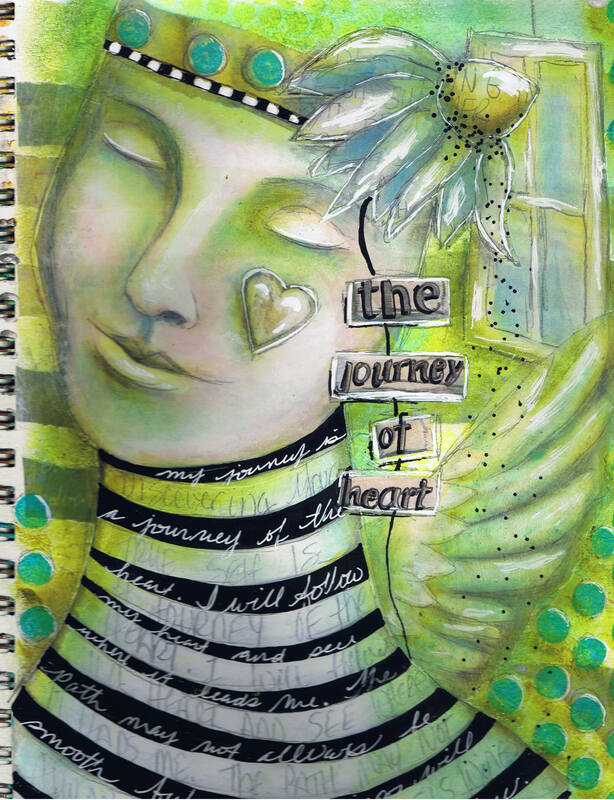 Looking forward to seeing Week 4 – I have loved your approach and teaching style and am enthused about looking at my old pages and art to see how I can re-use re-purpose many of them into journal pages. Thanks so much I thoroughly enjoyed the videos. I followed your workshop on Strathmore and it was really great!! Since, my creations have changed (for the better). It was so new and revealing how one can use your own artwork and create something new from it. It is a shame though that I don’t have facebook (don’t want to have it either because it is difficult enough to unplug the computer anyway) so I must make do with the many notes I took last year and my examples. Looking forward to this workshop…thank you so much for sharing your amazing talent. You are so talented and I am excited to get started. Thank you so much for offering this free class – is so gracious of you! The original invite is on my facebook page. This is so generous. I am now following you on Twitter, I also tweeted this and I liked your facebook with my own art page and I will watch the videos later on today or tomorrow. Your journal page is lovely and I can’t wait to see your technique. Thank you so much for this generous offering. I love your work. You inspire so many people including me. Hope you will visit my new artjournal blog.